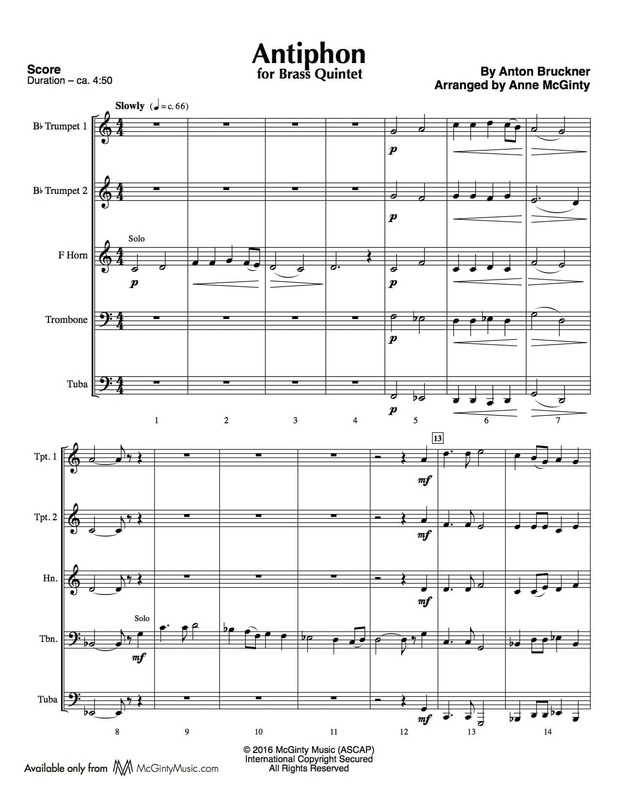 Trombone in Chamber music | Product categories | McGinty Music, LLC. 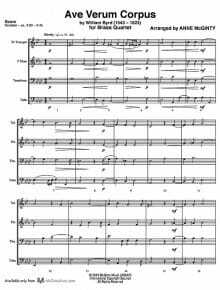 Anton Bruckner (1824 – 1896) was an Austrian composer known for his monumental symphonies, masses and motets. He was a simple man with an intense devotion to the spiritual life. 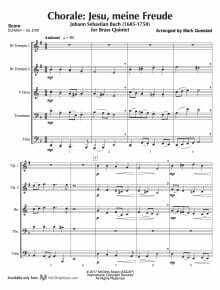 This motet was written in 1878 and scored for solo tenor, choir and organ. 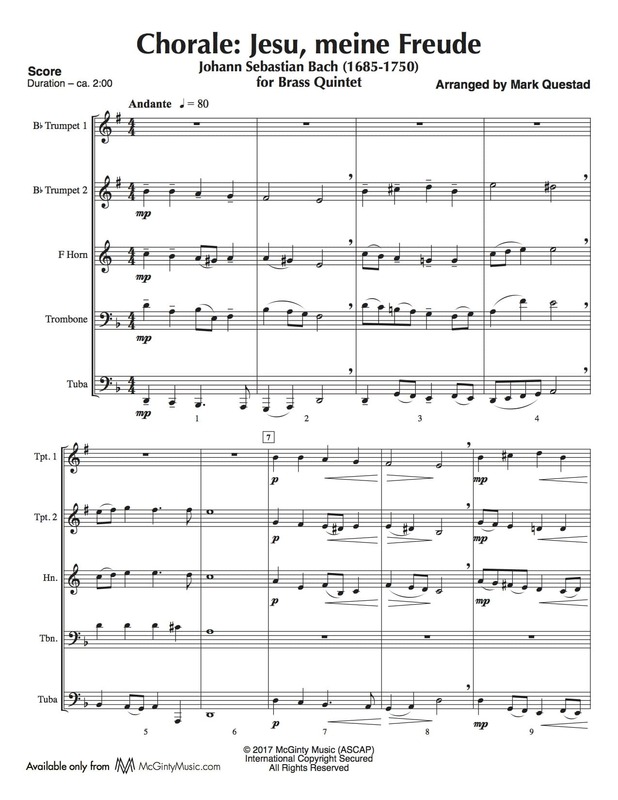 The complete title is Antiphon – Tota pulchra es Maria. It’s not known when he re-scored it for SATB. 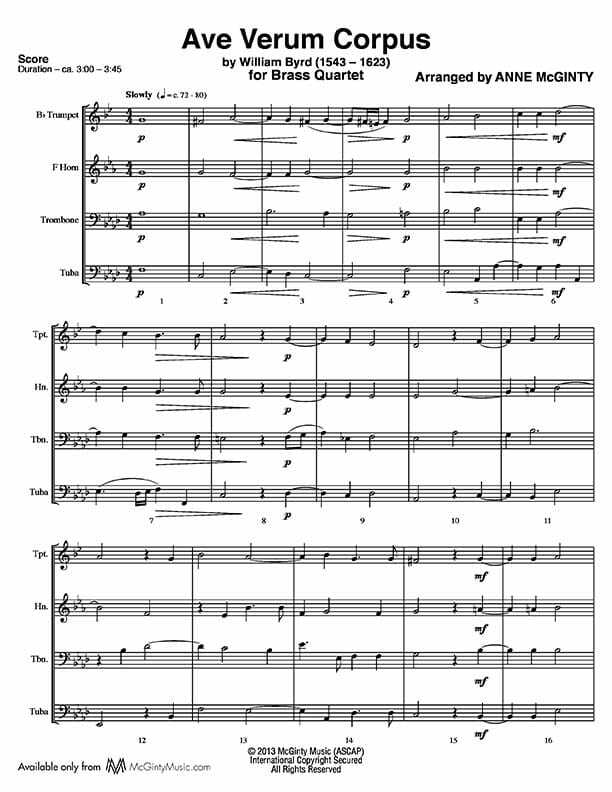 Both versions feature a dialog between a soloist and the full quintet. 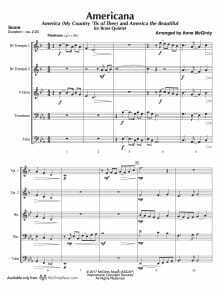 His use of sudden contrasts of timbre and dynamics as well as some unexpected harmonic choices make this piece a welcome addition to the repertoire. The false relation, the E natural in the trumpet and the E flat in the tuba in measure 2 was Byrd's way of emphasizing the word verum. 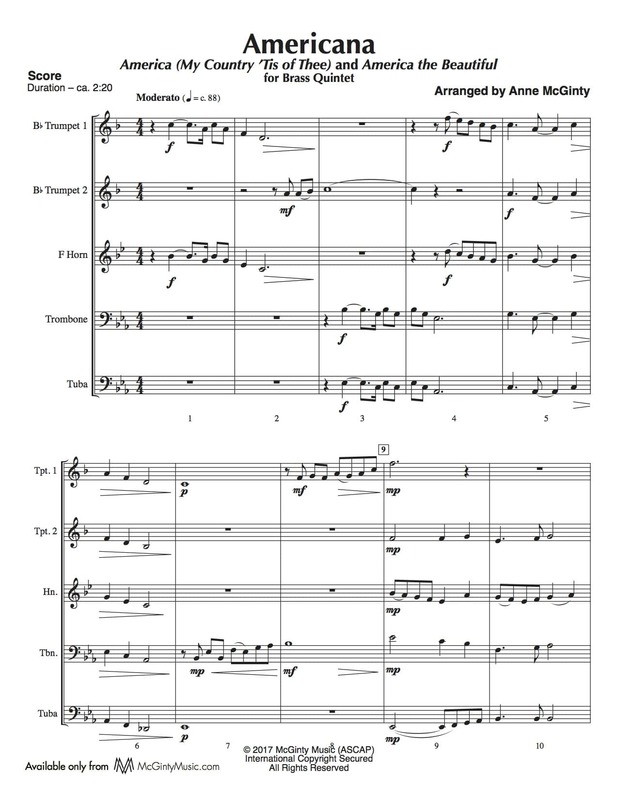 Excerpt graciously provided by members of the Tower Brass Quintet. 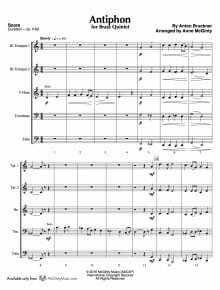 With a chorale melody by Johann Crüger and harmonization by Johann Sebastian Bach, this arrangement is a welcome addition to concert programs and church services alike.